You can find the german translation here! as we do not only want to release Eternal Escape on PC, but also on all main consoles, a good and intuitive gamepad control is absolutely essential. It's very important to us, that Eternal Escape comes with a high quality on all platforms. Therefore we already started to implement gamepad controls. The upcoming Version 0.2.7 of the demo will support the Xbox One controller, other common controllers will follow soon. In addition to PS4 controllers and Switch Joy-Cons, we also plan to natively support the Steam controller. Creating a well-functioning layout for a gamepad is more challenging compared to mouse and keyboard control because the usual controller is limited to a few buttons and joysticks. Not only all functions of the keyboard must be mapped, but also all actions that can be performed with the mouse, ideally with a few additional controller menus. That's why some time ago we started working on the gamepad controls to make them as intuitive and functional as possible. Due to the many possible control actions in Eternal Escape, we have to assign some buttons multiple times. This is achieved in different ways. On the one hand, a button can trigger different actions depending on the context of the game. That can be found in many modern games today and is barely noticeable when done correctly. On the other hand, there are situations in our game that are presenting so many possibilities, therefore this is simply not viable anymore and the player needs to perform actions manually. For this, each button on the gamepad has a primary function and some of them have an alternate function. The alternative function of a button is activated while pressing another button. In addition, we are using two radial menus to trigger important actions as quickly as possible. 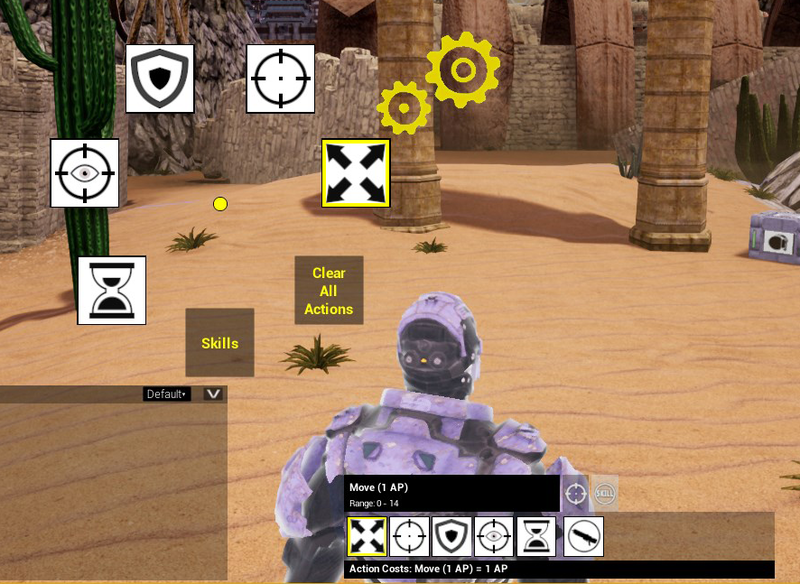 One of the radial menus contains various settings that can be applied on the fly, like enabling and disabling the field of view on the enemies. The other one is used for skills like attacking or taking cover. No worries, those radial menus will only be used for the gamepad controls. Furthermore, we want to give the player as much freedom as possible so the D-Pad will be pre-assigned with quick functions, which can be freely changed by the player. In later versions, the complete gamepad control will be individually adjustable in the settings. Also, we have planned a few more features for the gamepad that won't be available in the next update yet. For example the possibility to navigate the classic hud freely with the gamepad. So much for the upcoming gamepad control and our progress in this area. What do you think of it? 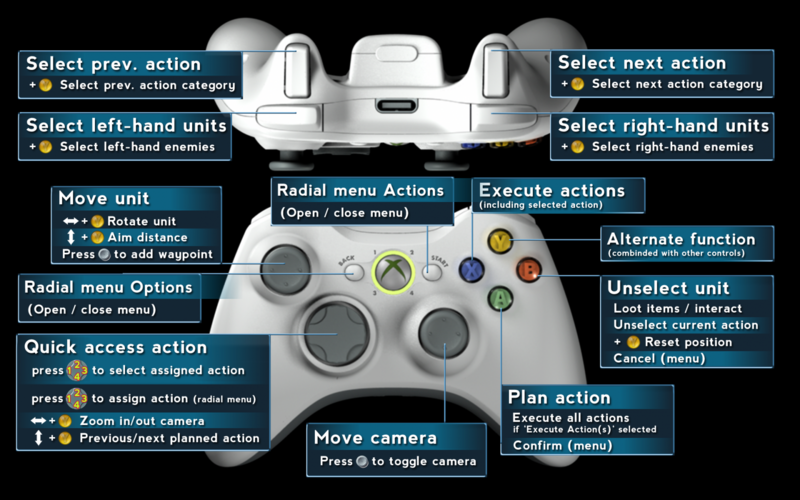 What's your opinion of the topic gamepad navigation? Do you have ideas about what we could improve and do better? Just tell us about your experience with our game. Register on our website to share your thoughts and opinion with us on our forum. Get quick and easy news about Eternal Escape, then follow us on Twitter or check out our Subreddit.